As 2018 comes to a close, we look back on an incredible year and an incredible conference. Western Canada’s electronic music community united in a way we’ve never seen before and artists and creatives from all walks of life joined together to create a truly special time. 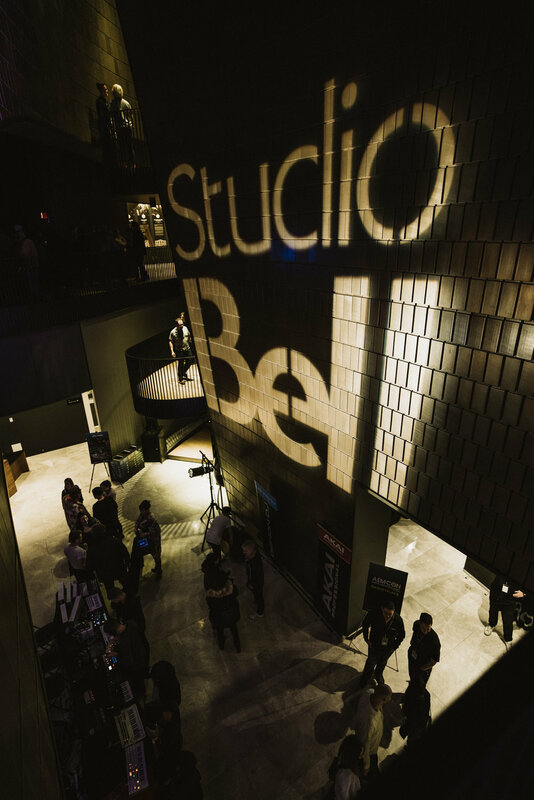 What follows are some of the highlights from this year’s event..
For the first time ever, Studio Bell allowed us to activate their incredible museum and exhibition space to host the conference. Split between 3 rooms and their ground floor, over 60 different workshops, panels, and artist talks took place. Each room featured its own unique feeling and vibe and created a special place for artists and creatives from all different walks of life to meet and share their experiences. On Friday night, we partnered with the National Music Centre to turn the building in to a multi-level night-life wonderland. Over 1200 people enjoyed headlining performances by A Tribe Called Red, DJ Heather, Small Town DJs, Which Nancy, Caylem Simeon, Siofra McComb and activities like a Silent Disco, interactive midi dance floors, personal tours of TONTO by co-creator Malcolm Cecil, and the AEMCON Market Place. 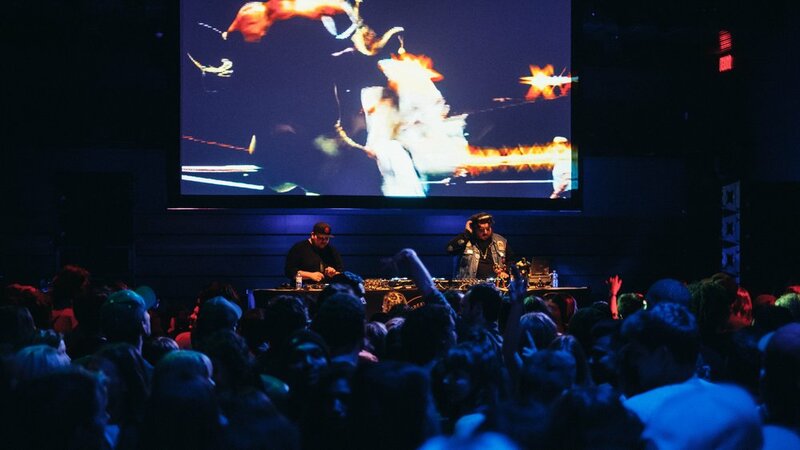 This was the biggest activation of the National Music Centre space in its history. This year, we were excited to invite speakers from SOCAN (Racquel Villagante), Canada’s Music Incubator (Vel Omazic), and the VP of Finance from PK Sound (Caitlyn Ducasse) to speak about royalties and accounting for artists respectively! 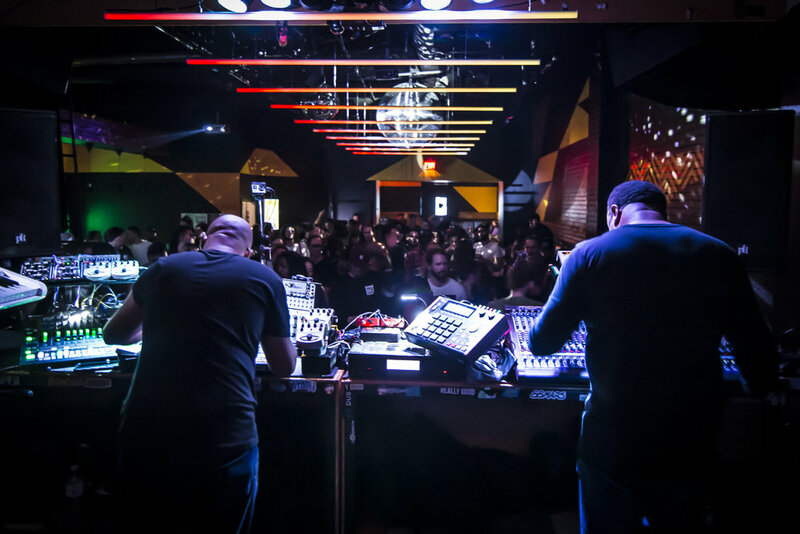 As these topics are rarely talked about in the electronic music community, attendees walked away with a wealth of knowledge on how to better manage their money and access new revenue streams. Split over Friday night & Saturday day, the AEMCON marketplace featured over 22 different music culture & tech vendors. As it was incorporated into the NMC Afterhours event on Friday and was a free-to-enter event on Saturday. A wide range of people experienced what the market had to offer from trading vinyl, to playing on the brand new Moog One for the first time. Learn more about our vendors here. This year, we were very happy to introduce a number of new venues into our conference including Commonwealth, The Junction, Verns Tavern, The Palace Theatre, Black RBT, & The King Eddy, in addition to the return of The Hifi-Club, Habitat Living Sound, National Music Centre, and Broken City. The range of international talent included electro house kings Digitalism, UK Bass house pioneer Chris Lorenzo, Sub frequency selectors Tsruda, Sleeper, TMSV, Falcons, and Which Nancy, EDM star K?D, house and techno djs Pezzner, Cindy Li, Lorne B, Andi Depressiva, and so many more. These acts were all supported by an outstanding cast of Alberta-based talent hailing from all over the province. 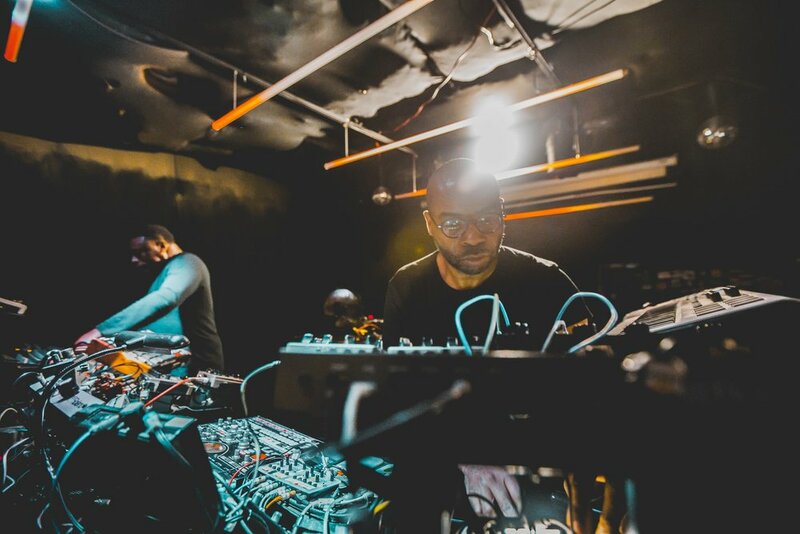 Two of Detroit’s House & Techno Godfathers gave a inspiring 90 minute workshop before later going on to perform 2 hours of the best live techno Alberta has ever seen. From imparting hard won wisdom, to delighting a sell out audience, their performance is not to be forgotten. 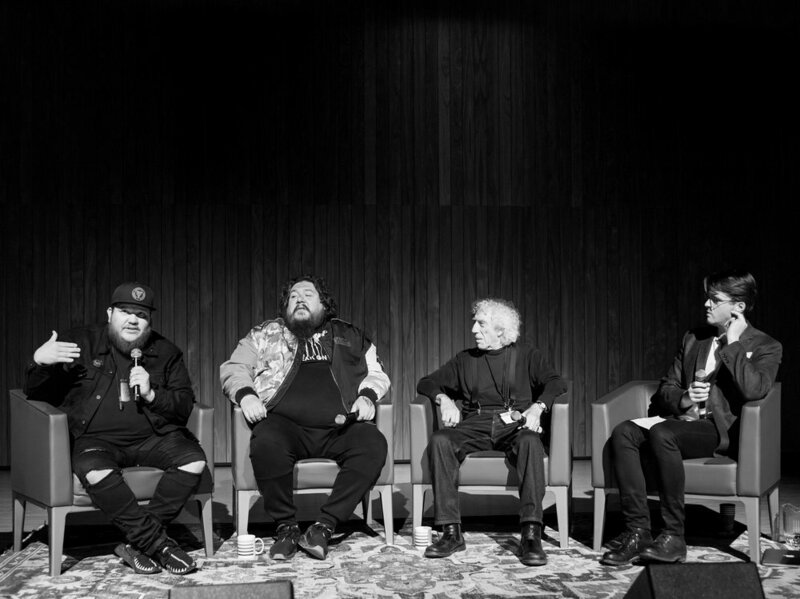 Over the course of AEMCON week, we partnered with the National Music Centre to highlight a piece of music history: TONTO. With 7 different related events, culminating in a 2 hour, packed-house interview & demonstration with the co-creator Malcolm Cecil, TONTO week was a synth-lovers dream come true. This year, we saw support from both the City of Calgary and City of the Edmonton in two different forms. Members of Calgary emergency services community, represented by fire, police, and EMS professionals took part in our excellent “Working with Emergency Services Panel” moderated by XA’s Chris Kerr. We were also very lucky to have Edmonton Councillor Scott Mckeen, the Director of Edmonton’s Civic Events & Festivals Nicole Poirier, alongside Shelby Young from Indigo Harm Reduction and Marcus Gurske, take part in a discussion about how cities and rave promoters can better work together to create vibrant electronic events and communities. Alberta is a diverse and dynamic province and we will continually work to ensure that all voices have a platform and space at our event. 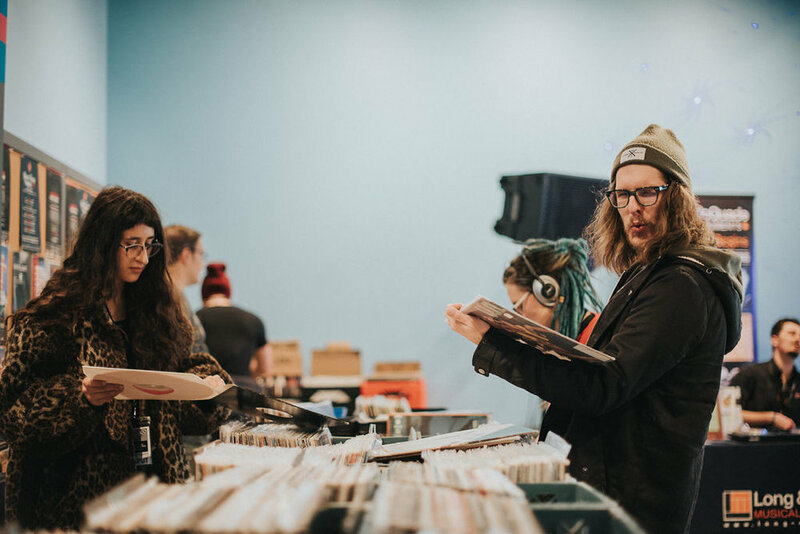 This year we were honoured to work with organizations such as Girls on Decks, Femmewave, Afros in tha City, and Indigenous Resilience in Music to create safer creative spaces for all of Alberta’s citizens. As Alberta’s electronic community continues to move towards creating a more diverse scene, we look forward to continuing to build opportunities for all voices in the coming years. AEMCON is only possible thanks to the support of some amazing organizations. We want to take a second to thank with all our hearts all our partners. Big kudos to our venue and promoter partners for lighting up our night life. The Hifi Club, RENDER, Studio Social, J9Productions, Sub Chakra, Noctilux Collective, Afros In Tha City, Blueprint Alberta, Habitat Living Sound, Quiet Hours Silent Disco, Femmewave, 10 at 10, Broken City, Dnb Girls, Girls On Decks, JUNCTION NIGHTCLUB, Commonwealth Bar & Stage, and of course, the incredible Studio Bell, home of the National Music Centre. And our amazing community media partners and team that help us spread the word and capture the event. Shout out to all our photographers & videographers and BeatRoute (AB), FREQ. Magazine, Canadian Musician Magazine, & CJSW 90.9 FM. An event like this can only happens when organizations work together. We couldn't be prouder to work with such an incredible group of people in Alberta and beyond. Thank you! Thank you for all your support! Mark your calendars for November 13-17th for AEMCON 2019! PS - If you haven’t filled out your attendee feedback survey, please find it here. Don't Miss Our 2019 Event! Sign up with your email address to receive news and updates for the 2019 conference.